It’s not often that you see a group of cellists sharing the stage with non-classical performers, unless you happen to frequent the shows of The Portland Cello Project. 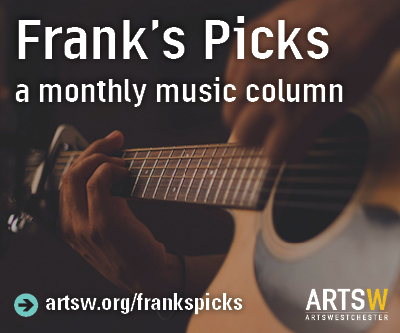 The group is comprised of a rotating collective of seasoned musicians whose concept performances range from the music of Bach and Brubeck to Taylor Swift and Prince. 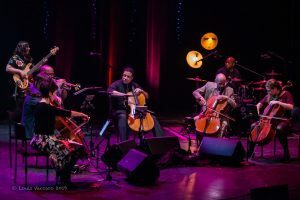 Stripped of the usual trappings of a group anchored by classical musicians, The Portland Cello Project brought their dynamic presence to the stage last Saturday at Purchase College’s Performing Arts Center to pay homage to Radiohead’s pivotal album OK Computer. 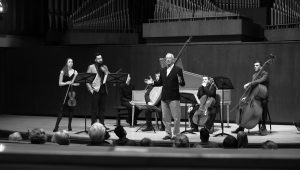 On March 30, Juilliard Baroque Ensemble, a group of period-instrument specialists from the faculty of the famed music school’s Historical Performance program, will kick off the Friends of Music Concerts’ spring season with an evening of 17th-and 18th-century arrangements that focus on works for violins. When Pink Talking Fish took the stage on Saturday night, the crowd at the Capitol Theatre was already primed for a night of raucous entertainment. From the stilt-walker and balloon twister in the lobby to the acrobats and clowns on stage, it was clear that it would be far from standard concert fare. 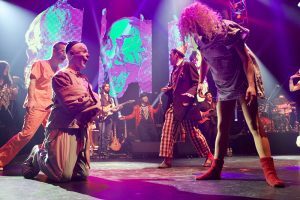 Joined by Ringmaster Greg Ormont of Pigeons Playing Ping Pong, the band played a three and half hour set that included a nod to Bowie, multiple aerial performances and a constant stream of dynamic vignettes.